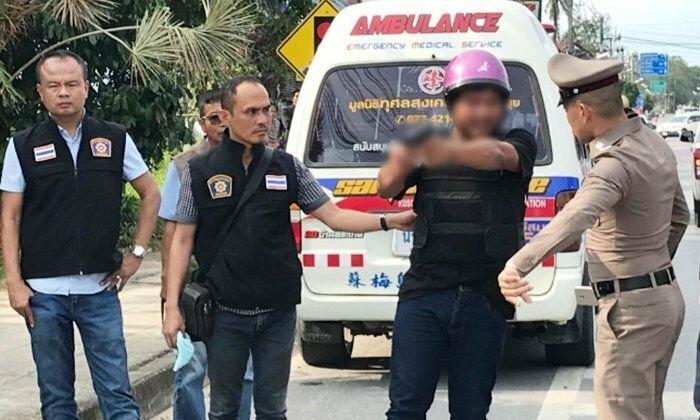 A man who shot and killed the son of a well know Koh Samui singing artist has been taken on a reenactment on the holiday island. Nappaphon, 26, the son of "Songs for life" singer "Maew Bai Jaak Thai", was shot on Monday of last week on the island's ring road. A long standing set of arguments between Nappaphon and the shooter, Natdanai, 20, a Koh Samui foundation rescue worker, ultimately led to the murder. Yesterday Koh Samui police chief Pol Col Phaitoon Krajajang took Natdanai to three places to reenact the crime. 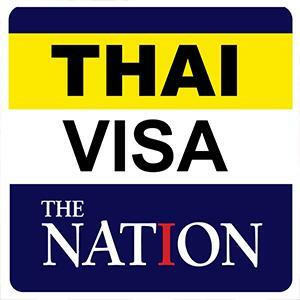 The first spot was on the ring road outside an air-conditioner repair shop in Lipa Noi sub-district. The suspect said that the victim was chasing him on a motorcycle as he drove his rescue vehicle. He claimed that the victim was armed with a "sparta" knife. Natdanai fired at him three times at that location with a 9mm gun but none of the shots hit him. At the second scene of the reenactment about 100 meters down the road Natdanai stopped his vehicle and the victim parked his bike about five or six meters behind. The pair advanced on each other - the victim with a knife and Natdanai with the gun. He fired three more shots and Nappaphon fell. He then finished him off with two more shots. He then drove to the third reenactment scene at Ban Phrukam hill where he parked and was subsequently arrested. He said that he had argued with the victim for years and a sense of wanting revenge had built up in him over time. They had argued, too, on the day in question that led up to the chase. He has been charged with murder and weapons violations.